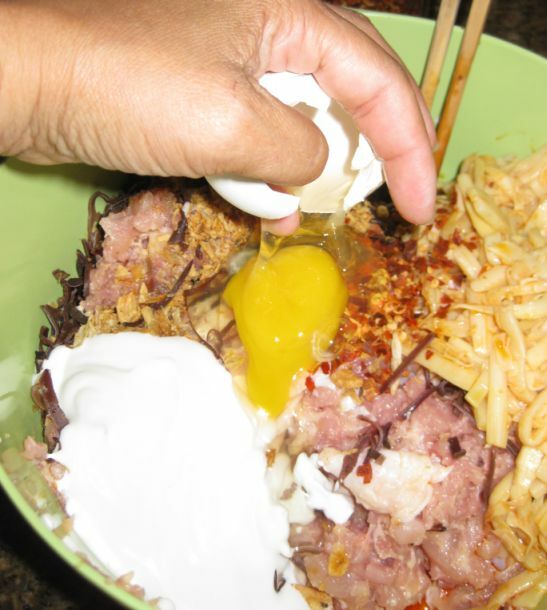 This is a Laotian dish that you will not find in any Thai restaurant. 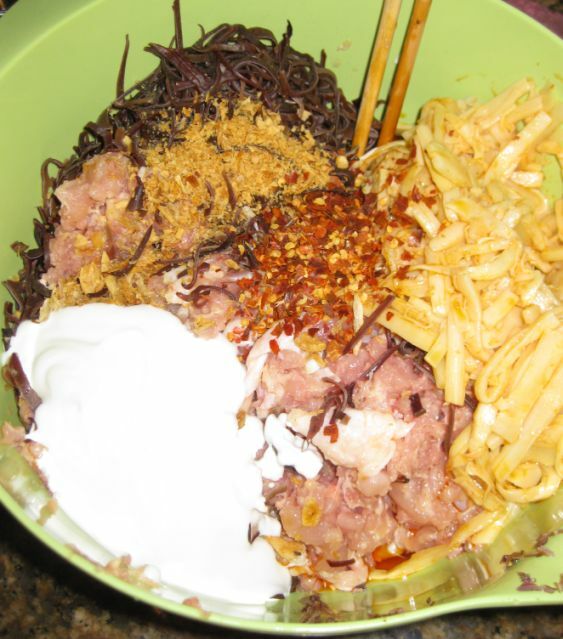 I usually include this dish in my menu when I make Thai food for my guests. 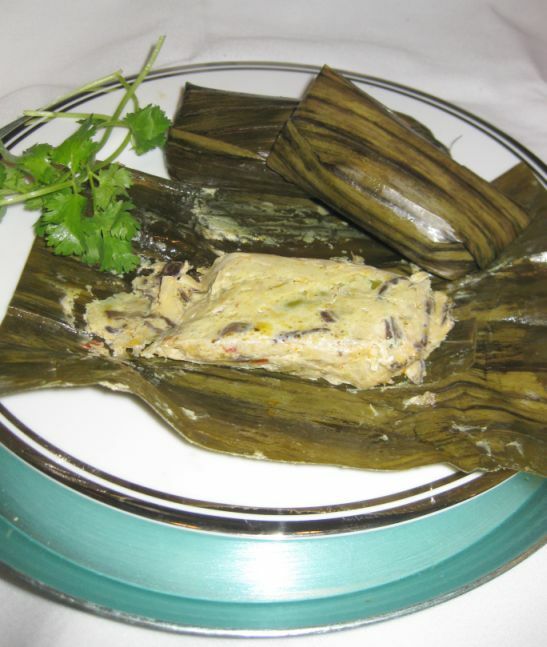 Mok Kai main ingredients are chopped chicken, lemon grass, lemon leaves, black fungus, Bamboo shoot in chili oil, wrapped in banana leaves and then steamed. 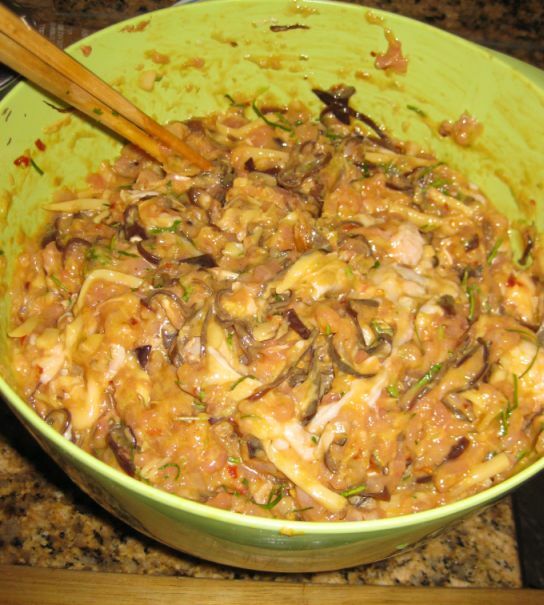 This is a spicy dish that that has a lot of flavor. 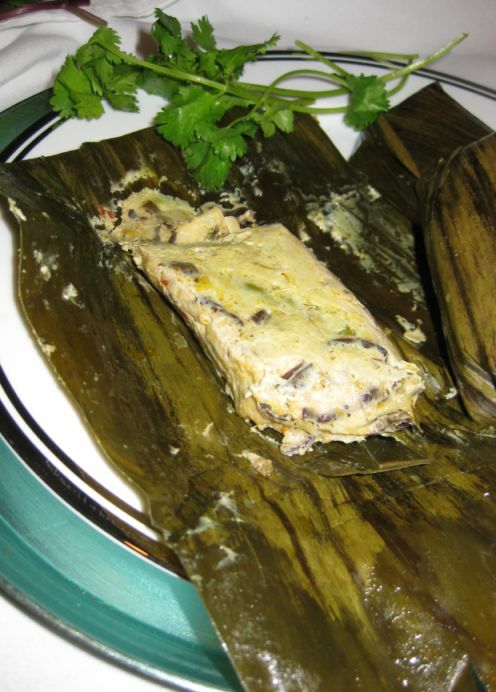 Banana leaves are acting as a double agent in this dish: first the leaves add a nice flavor to the Mok Kai and secondly, they keep the meat moist. 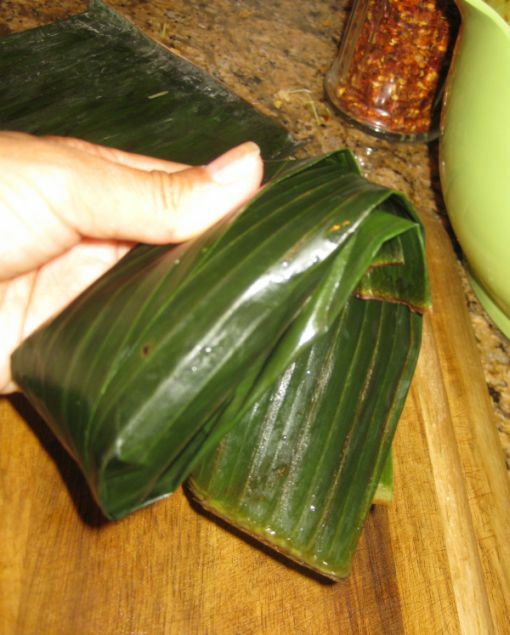 People did not have aluminum foil back in the days so Banana leaves is a great for this purpose. 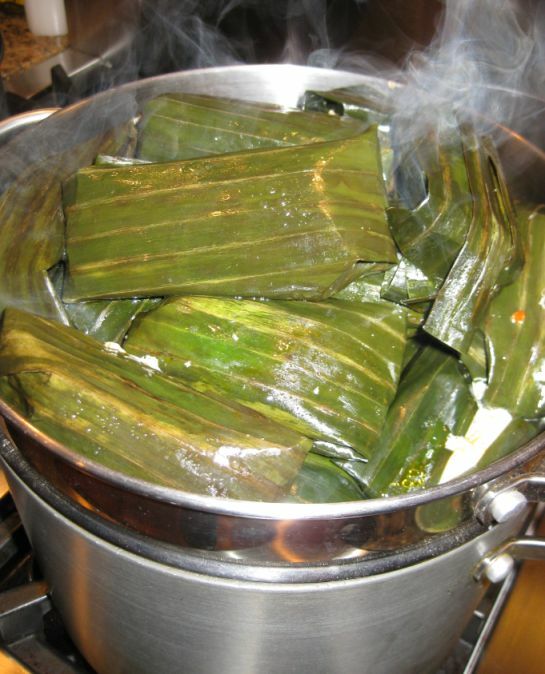 Traditionally the Laotian people eat this dish with sticky rice but steamed rice goes really well too. 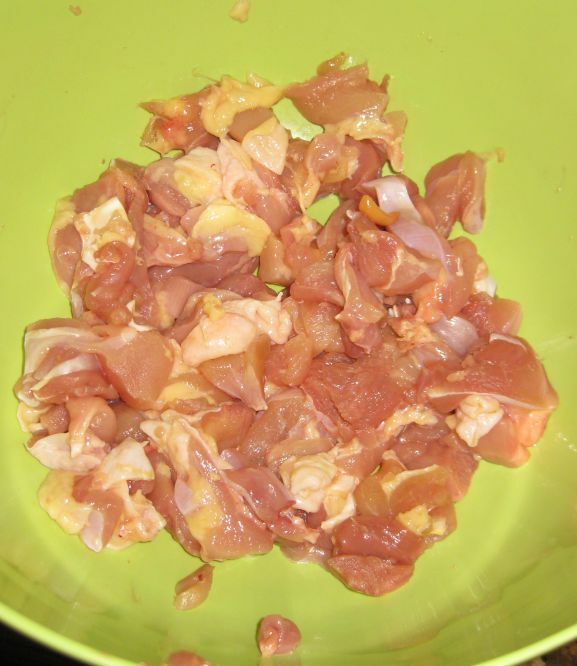 You can chopped the chicken by hand or use a food processor but make sure it is coarsely chopped so you can still see small chuck of chicken. 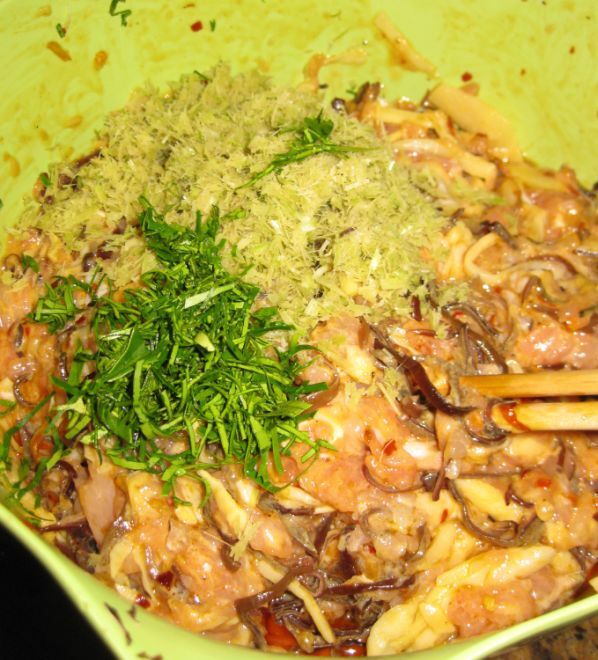 Soak the black fungus into water for about 20 minutes. 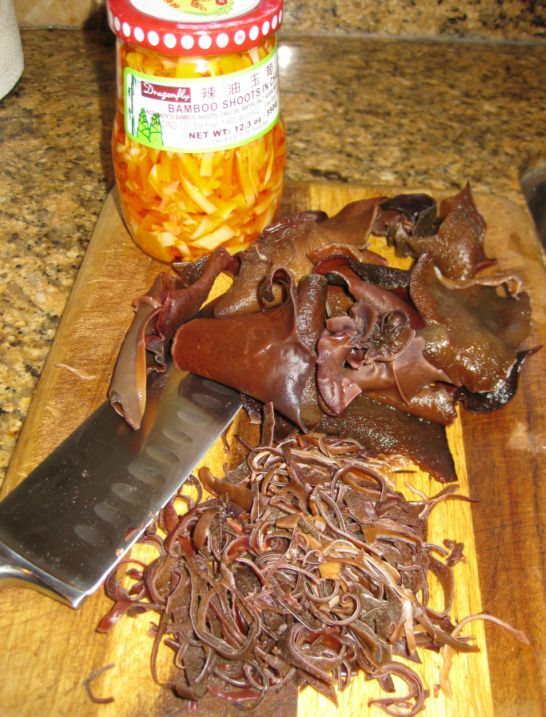 Drain the black fungus and cut it into thin strip. 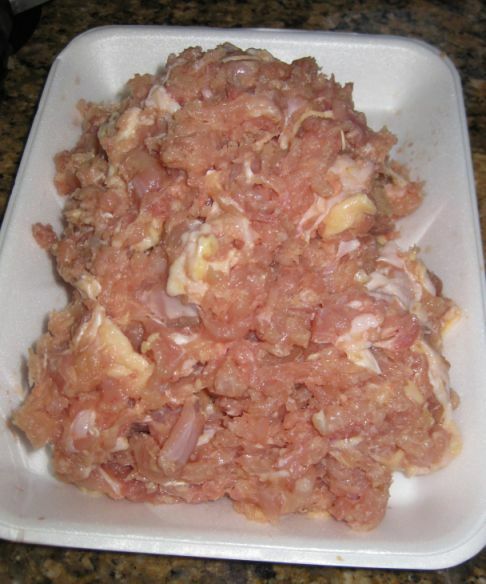 Add two eggs and mix it well together. 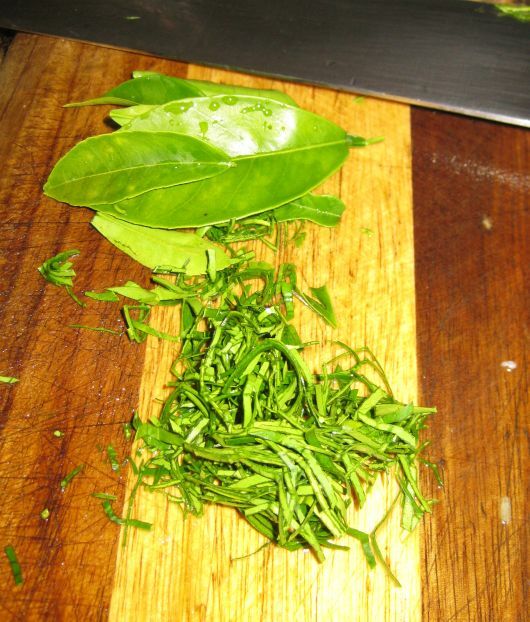 Set aside..
Add the lemon leaves and lemon grass into the mixture. Mix it well together. Add sugar, and fish sauce. 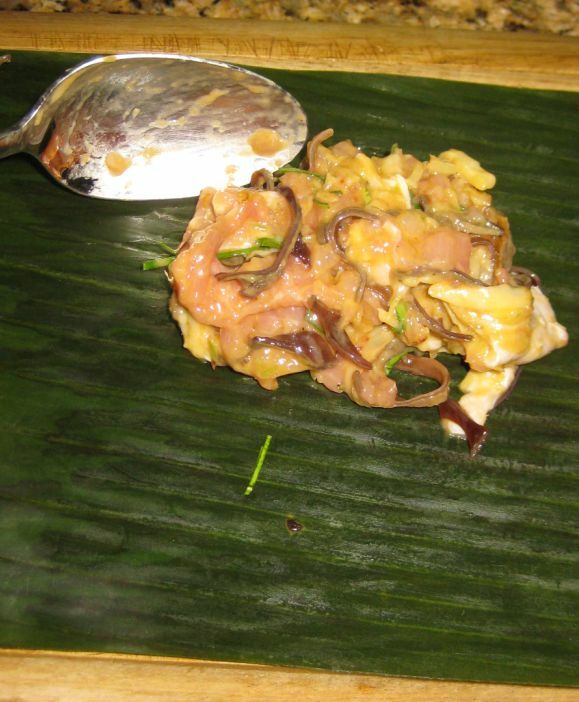 Put a few spoons of the mixture on a banana leaf. 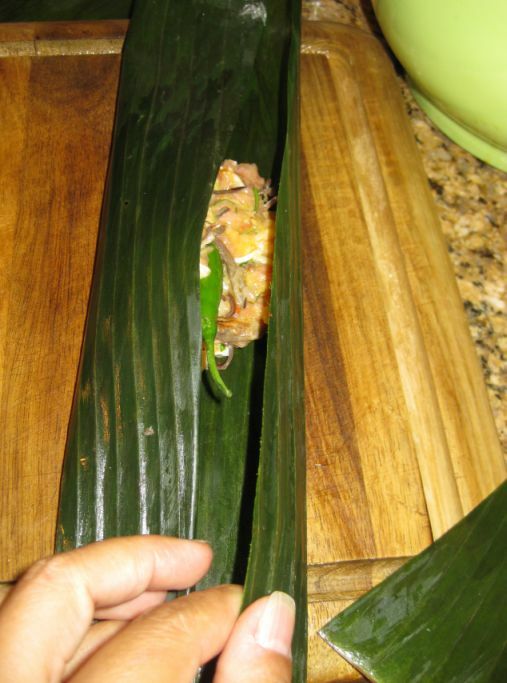 Fold both side of the banana leaf toward the center. 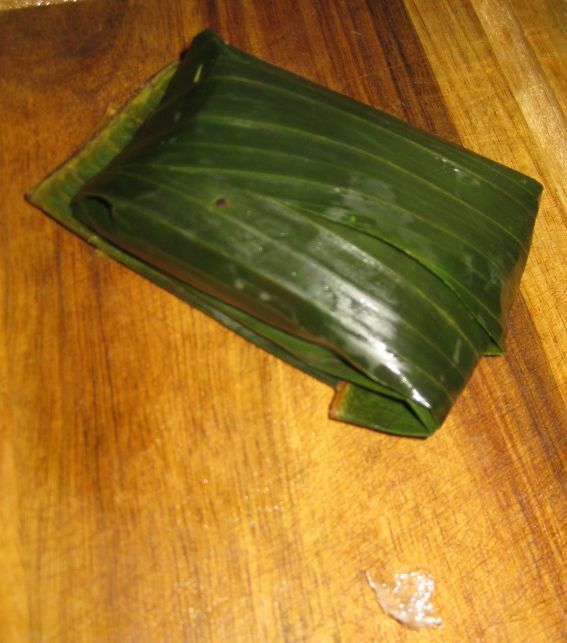 then fold the end of the banana leaf..
to form a small package. Steam the Mok Kai for about 20 to 25 minutes.